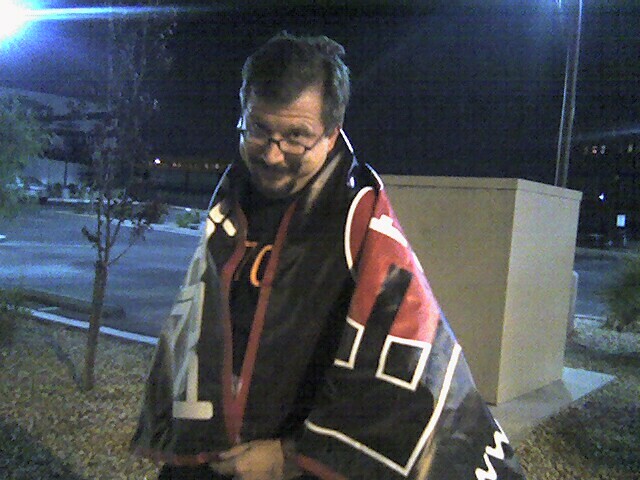 Kurt sports an EFF cape at DefCon DC702 Summit | Flickr - Photo Sharing! Hippie #1: Dude, is that Freedom Man? Hippe #1: Well, turn it up!